Season in Review: The 21-year-old southpaw, who entered 2014 as the third-ranked prospect in the Orioles organization according to Baseball America, began the season as the opening day starter for Double-A Bowie. 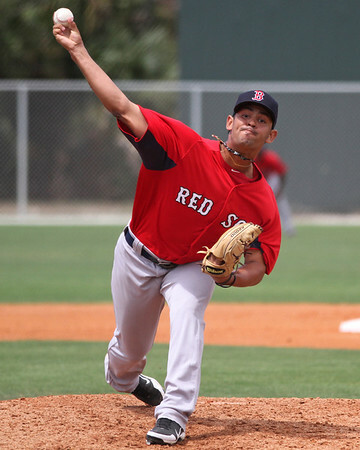 Having held his own during his first taste of the level in 2013, posting a 4.22 ERA with a 1.29 WHIP and striking out 59 hitters in 59 2/3 innings, Rodriguez struggled in his second go-round in the Eastern League. After allowing 12 earned runs in his first three starts, he suffered a knee sprain while weightlifting between starts, forcing a trip to the disabled list that lasted just over one month. 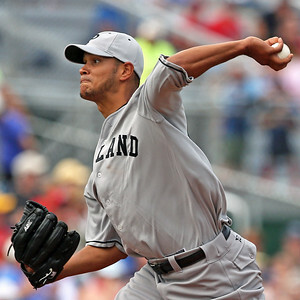 He returned on May 22, only to continue to lack consistency on the mound. While he spun a few gems among his five quality starts over his 11 remaining appearances for Bowie, only two came in consecutive appearances. In other starts, he issued too many walks and failed to pitch deep into games. Past entries in this year's Top 40 Season in Review series can be found here. 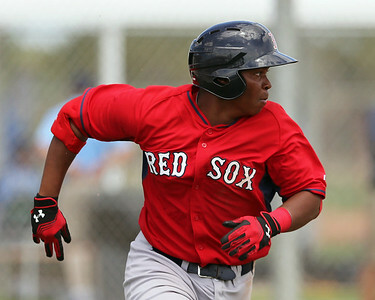 Season in Review: Selected with the 31st overall pick in the 2012 draft, Johnson progressed slowly in 2013, beginning the year in Low-A Greenville after an offseason spent rehabbing following a line drive to the face ended his first pro season. The left-hander made 15 starts for Greenville, posting a 2.87 ERA, before earning a promotion to Salem to end the season. 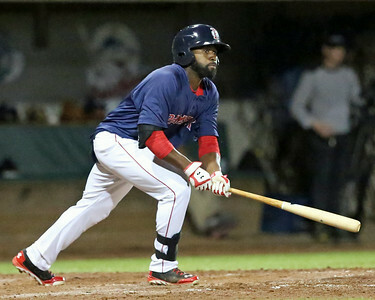 Following a healthy offseason, Johnson started 2014 back in High-A and began to show why the Red Sox had initially expected him to move quickly through the system. 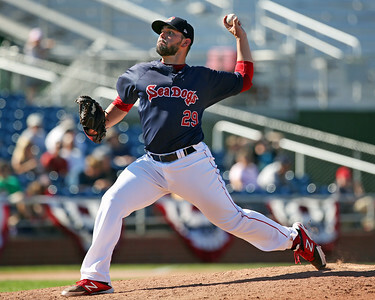 He made just five starts with Salem, compiling a 3.86 ERA with 33 strikeouts and seven walks in 25 2/3 innings pitched. 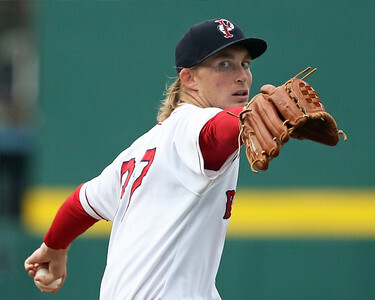 After a pair of dazzling, scoreless, six-inning starts—and back-to-back SoxProspects.com Pitcher of the Week awards—at the end of April, the Red Sox promoted Johnson to Double-A, where the southpaw really took off. 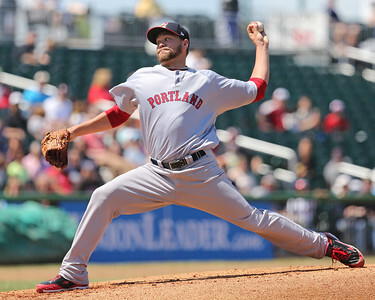 In 20 outings with Portland, Johnson allowed more than two earned runs just once and finished with a 1.75 ERA in 118 innings. 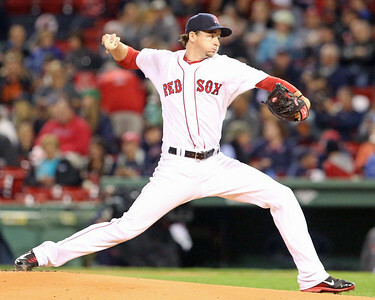 Season in Review: The Red Sox's top pick in the 2011 draft, Barnes entered 2014 with high expectations. 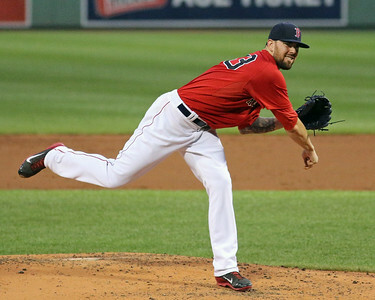 He was coming off a 2013 campaign that saw him start slow but make adjustments and finish strong, earning a promotion to Triple-A Pawtucket for his final start of the year. 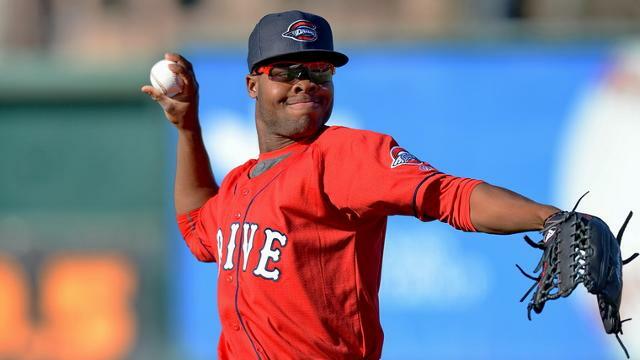 Invited to major league spring training but ticketed for a return to the PawSox, Barnes was shut down early in spring training due to shoulder soreness, setting his season debut back until April 25, when he threw five solid innings. However, consistency was lacking for Barnes in the first half, perhaps due to the disruption in his preparation for the season. 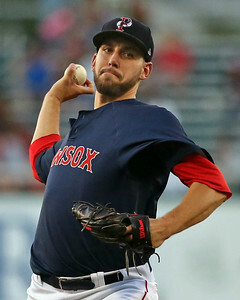 He completed six innings in only six of his first 15 starts, and he went into the break with a 5.06 ERA and 57 strikeouts against 31 walks in 74 2/3 innings. Season in Review: Chavis had a strong senior season this spring for Sprayberry Senior High School in Marietta, Georgia, where he hit an incredible .580/.663/1.197 over 81 at-bats with 13 home runs while only striking out 10 times. 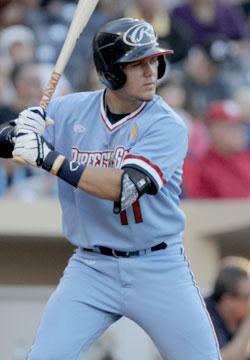 On the strength of that performance, he won the 2014 Gatorade Georgia Baseball Player of the Year and 2014 Perfect Game First-Team All-American honors. 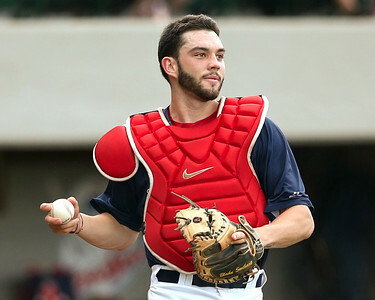 Scouts took notice, and coming into the 2014 draft, Baseball America had him ranked the 26th-best draft eligible prospect, while Perfect Game USA pegged him as the 20th. 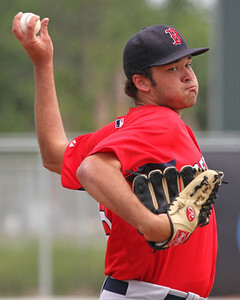 The Red Sox selected him with the 26th pick overall and were able to sign him out of a commitment to Clemson with a bonus of $1,870,500, equal to the slot value of that pick. Season in Review: Following an impressive 2013 campaign that saw Ranaudo have his best season as a professional, the 6-foot-7 right-hander looked to continue his resurgence in his first full season in Triple-A. Ranaudo posted inconsistent results from start-to-start to begin the year. In his first twelve starts, he averaged more than 7.5 hits and more than 5 walks per nine innings, although he was still able to hold opponents scoreless in four of those outings. But shortly after the calendar turned to June, things clicked for Ranaudo. In nine starts from June 6 through the end of July, he allowed just 10 runs on 34 hits and 13 walks in 55 1/3 innings, striking out 42. 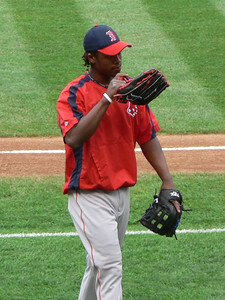 He was named the SoxProspects.com Pitcher of the Month for June, and was named to the International League All-Star team. 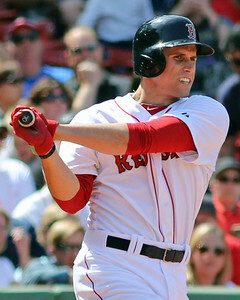 Season in Review: 2014 represented a bit of a step back for Garin Cecchini, who endured a brutal three-month midseason slump, but the 2010 fourth-round pick did give the organization and prospect watchers reasons to be optimistic going forward. 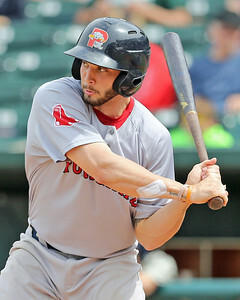 After a fantastic 2013 performance split across 262 plate appearances in Salem (.350/.469/.547) and 295 in Portland (.296/.420/.404), expectations were high for the 23-year-old, and the Red Sox aggressively placed him in Triple-A Pawtucket to begin 2014. 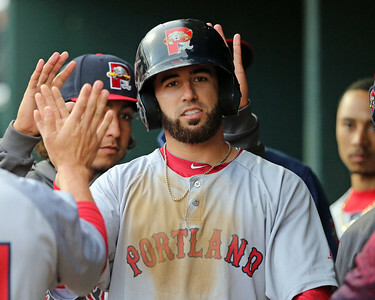 While he hit well in the season’s first month, he failed from the outset to hit for much power, an ever-growing concern since his power dropped off in Portland. 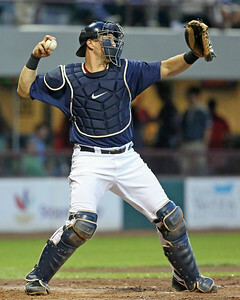 At the close of April, Cecchini was hitting .312 with a .400 on-base percentage, but was slugging just .390, having hit just three doubles and a home run in 90 plate appearances. 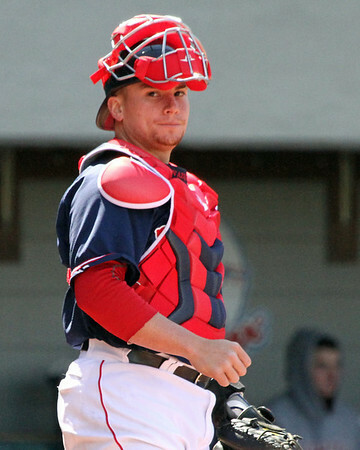 Perhaps due to this lack of power, Cecchini's approach—a noted strength—appeared to change in an attempt to generate more pop. 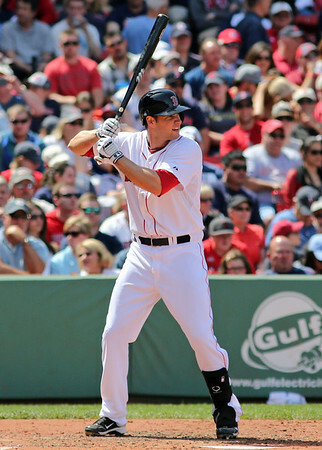 In May, his line fell to .253/.315/.293 for the month.